Life insurance isn’t just for young people. This is a common misconception. If you an elderly person, and here I mean between the ages of 60 – 85 years of age, there can be a variety of valid reason why you need or will want to have life insurance. It just so happens that at Huntley Wealth Insurance, we specialize in helping the elderly find affordable life insurance. If you’re wondering if you can still be accepted for life insurance coverage because of your age or health issues, or whether you will able to afford life insurance, then I have some good news to share with you. Please read on as there is a good chance that I can help you find the coverage and at a price you can afford. If you’re in your sixties, seventies or even eighties, here is some valuable information for you consider about buying or renewing your life insurance policies. The most important thing you need to know is that not every insurance company is the same. Some insurance companies are much more lenient than other companies when it comes to hitting a milestone birthday, or in how they rate you for insurance coverage based on your health issues. The second most vital thing to know is that you should always use the services of on an ‘independent’ agent to find the best rates and coverage for your particular situation. Some company agents only represent one or a couple of insurance companies which means you are restricted only to their products. And, going direct to a particular insurance company limits you to only a single line of products so you have no options at all. An independent agent has access to dozens of companies and can shop around for a company that will cover you, regardless of your health issues (there are exceptions and situations where we might not be able to help). We can shop around and find you the best coverage and at the most affordable rates. Let’s break it down into more specific age groups. It’s often in this age bracket that health factors begin to have a greater impact on how well and for what policies a person can qualify when applying for life insurance. This is a time in our lives when many of us are faced with such health issues like cholesterol, have cardiac issues or high blood pressure that needs to be controlled with medication. You could have developed Type2 Diabetes, or maybe you still like to smoke cigarettes or enjoy an occasional cigar. These are all issues that have an impact on your insurance and how the insurance company rates you. Basically you can choose between Term life insurance and Permanent life insurance (includes whole life, universal life and variable life insurance). Term insurance is the most affordable forms of life insurance policies available. It covers death benefits only and is often chosen as income replacement. Although it covers you for life, you buy it in packets of years such as 10, 15 or 20 years and that is why it is called term. Permanent life insurance will cover you directly up to age 120 and includes a cash value accumulation feature. Permanent policies are available for whole life, universal life and variable life. How Long a Term Insurance Should a Sixty Something Buy? If you’re thinking of buying term, you are most likely thinking you just need the death benefits to replace any loss income that could result should you die unexpectedly. The general rule of thumb is to simply consider how many years you plan to continue working and buy a term policy to cover that period. You should also know that the shorter the term you buy – the cheaper it will be. Another reason to consider term is that if you want to include your life insurance in an estate planning scenario, you could need to buy a longer term so you might need a term policy that covers you into your 80’s or even longer. You can actually buy up to a 30 year term, but the majority of life insurance companies won’t let you do this pass age 65. Your other option available might be to consider permanent life insurance. For some folks, a term life insurance policy isn’t going to meet all their insurance needs, and they require something more substantial for their particular situation. People are living longer these days and passing age 100 is becoming increasingly common. One big advantage of a permanent life insurance policy is that it will cover you up to at least age 100, and even up to 120 with some other companies. For whole life insurance quotes, call us at 877-996-9383. For universal life insurance quotes, Term Life Insurance Rates, or return of premium quotes, use the Instant Quote Form on the right. As mentioned above, health factors begin to have a significant impact on how a person is viewed by the insurance company. Different companies have those milestone birthday years where things can change when buying or renewing a policy. Term life insurance is definitely more affordable for someone in this age group, especially if a tighter budget is involved. What kind of term insurance is available for someone in this age group? Well, you can get a 20 year term policy with some companies all the way up to and including age 75. Between 76 and 80 years of age, the longest term you will find is 15 years. If you need a policy which is more substantial than you might want to consider permanent life insurance such as whole life, universal or variable life. My personal recommendation when considering permanent insurance is called ‘guaranteed universal life insurance’. It covers you for the rest of your life but doesn’t encumber you with the all the cash accumulation value that you would have to pay towards such as is required under a whole life policy. I have found that most people who require life insurance in their seventies aren’t buying insurance for income replacement which is the reason why most people pick term insurance in the first place. Instead, many people in their seventies need coverage for their entire life, and that’s why I will often recommend a permanent policy in many of these situations. Insurance becomes somewhat more restrictive as you get older. 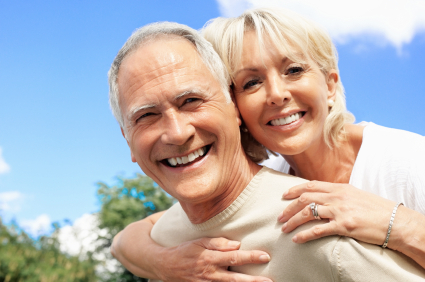 Term life insurance policies are still available when someone turns 80 or older. However, the length or period of term that you can buy becomes much more limited. Mostly, you can still buy a 10 year term policy all the way up to and including age 85. If you need insurance that lasts you longer or more extensive coverage than your best bet would be consider buying permanent life insurance which can cover you all the way up to age 120. If you have any questions or need assistance selecting the appropriate type or amount of life insurance coverage, please feel free to call the office at 877-996-9383.